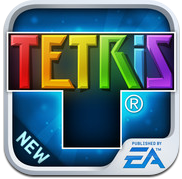 Tetris has been around the iTunes app store for quite some time now, but rather than update their existing version of the classic adopted for iOS, EA released a new and seemingly cheaper version of the game for $0.99. 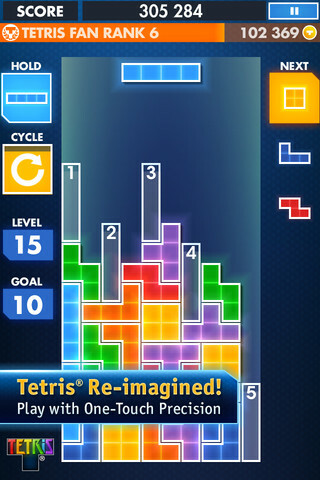 Existing users of the classic app were given a pop up touting features on the new game, and so while existing Tetris players bought a brand new app, a brigade of new buyers jumped on the opportunity at a one dollar classic. After all, Uno and all the others sell for about $6, and so this new and updated version of Tetris feels like a good deal. Get to playing though, and it’s easy to see that EA has more than just a dollar on their mind. The gaming company is playing the long game, and it soon becomes clear that like Smurfs and a slew of other freemium games, EA wants to turn your Tetris habit into a continuous revenue stream. 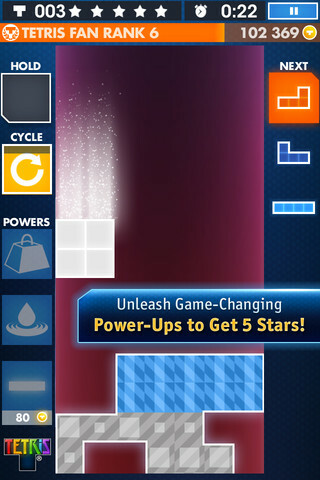 After all, Tetris’ new Galaxy gameplay turns the quick tapping classic into something a little bit different. The goal is to clear out the base terrain on an unknown planet, but rather than rush falling blocks into position before they lock into place, this new mode pauses the dropping motion so you can tap to view various block placement options. Every option is outlined in grey to show players exactly where their block can end up, but the changes don’t end there. Players can also tap blocks into hold mode for later use, making for an experience that feels (dare I say it? ), a bit more passive. But then there’s the T Coins, and this is where EA is in it for more money. T-Coins help gamers breakout with awesome power ups that earn five star ratings, but before long it becomes apparent that to really succeed at Galaxy Tetris, it’s going to require somewhat of an investment. There’s also a $30 per year Tetris subscription that gives gamers T Coins and other advantages, but I admittedly haven’t subscribed and so therefore know very little about the worth of this subscription. 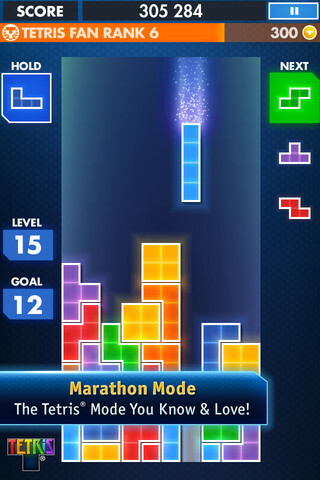 When it comes down to it, Marathon mode (which is a graphically updated version of the classic Tetris gameplay) is still the best thing about this new release. 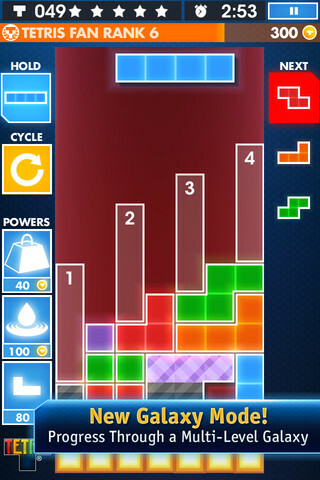 Some things are just best left in their original form, and at least for now, this is absolutely the case for Tetris modes on iOS. Bottom Line: Tetris will always be a legend, but EA’s newest release of the gaming classic isn’t as Earth shattering as we’d hoped.